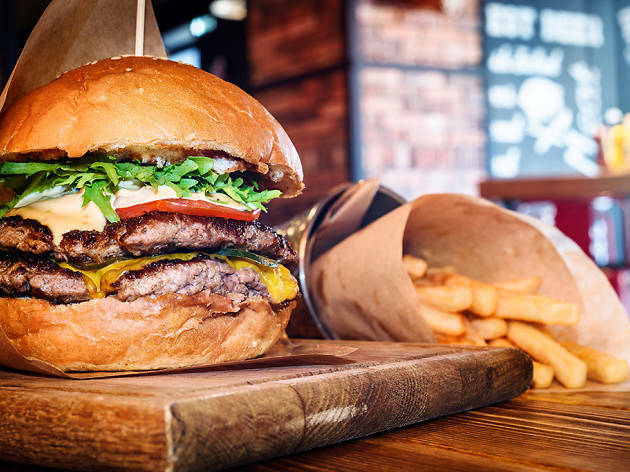 A thoroughly challenging (though very tasty) list to compile, the selection of the best burgers in DC takes us to some of the most delicious local eateries, serving all kinds of cheeseburgers, veggie burgers and hamburgers. After all, although the best hot dogs in DC, the best pizza in Washington DC and the best sushi in DC are perfectly acceptable (and delicious) meals, sometimes all you’re really craving is a carefully contructed patty. 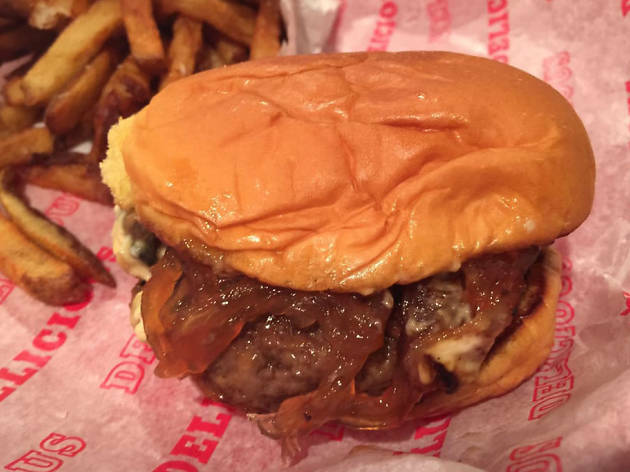 Duke’s Grocery, which draws its inspiration from the cafes and pubs throughout East London, offers one of the best burgers in D.C.: the Proper Burger. 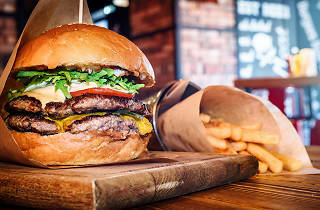 While the pub taps local farms for many of its ingredients, it sources the angus beef for this burger from the venerable Creekstone Farms in Kansas City. It’s topped with melted gouda, charred onions and dill pickles. The Thai sweet chili sauce and garlic aioli offer a nice balance of spicy and cool. You can also select an array of other accoutrements to add to your order—from the common (bacon, avocado) to the extravagant (white truffle oil, pate). 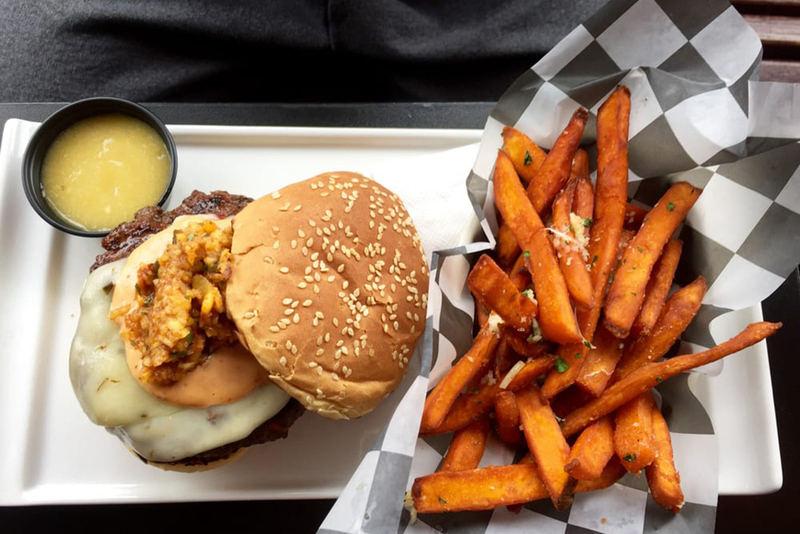 Alas, #44 may no longer be in the White House, but we can still reminisce about his presidency while devouring this burger from Good Stuff Eatery. It’s topped with applewood smoked bacon, a savory-sweet onion marmalade, melted Roquefort blue cheese and a tangy horseradish mayo. Chef Spike Mendelson crafted the Prez Obama burger, along with a McCain burger, back in 2008 during the presidential election. Good Stuff kept a tally of how many of each burgers were sold in the run-up to the election and, unsurprisingly, the Obama burger won by a landslide. 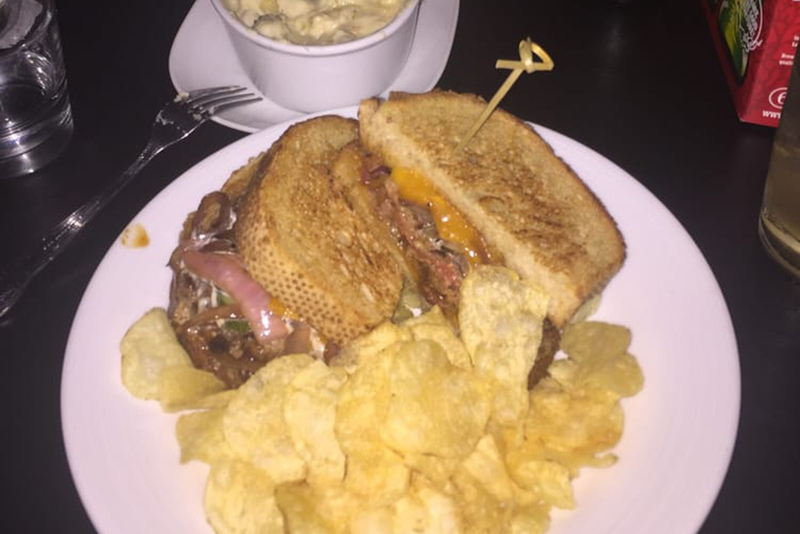 It remained so popular over the last eight years that Good Stuff decided to keep it on the menu permanently—and the District is better off because of it. Any time a restaurant taps Capital Meats to source protein for their burger offerings, you know you’re in for a treat. Big Board’s burgers come in 6 and 8oz sizes—but you’re certainly encouraged to go big. 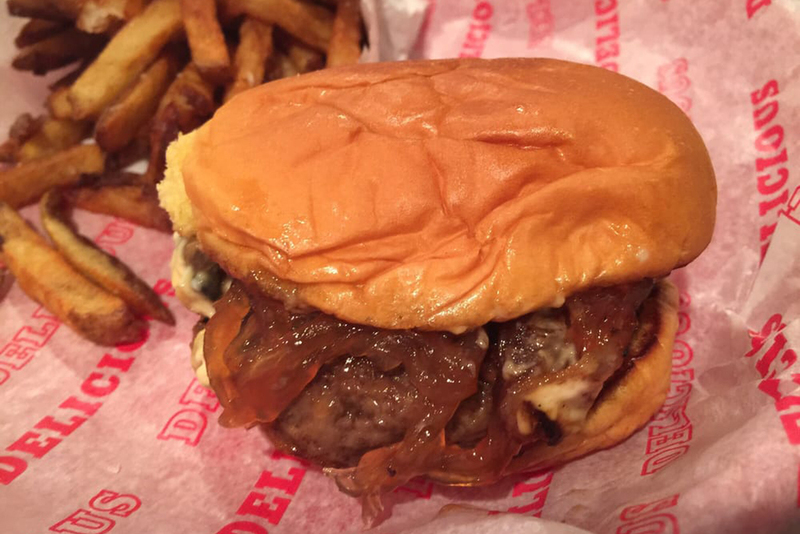 The Memphis Burger is piled high with fried onion straws that provide a springy crunch with every bite and the barbecue sauce is truly Memphis style—sweet with a smoky tang. 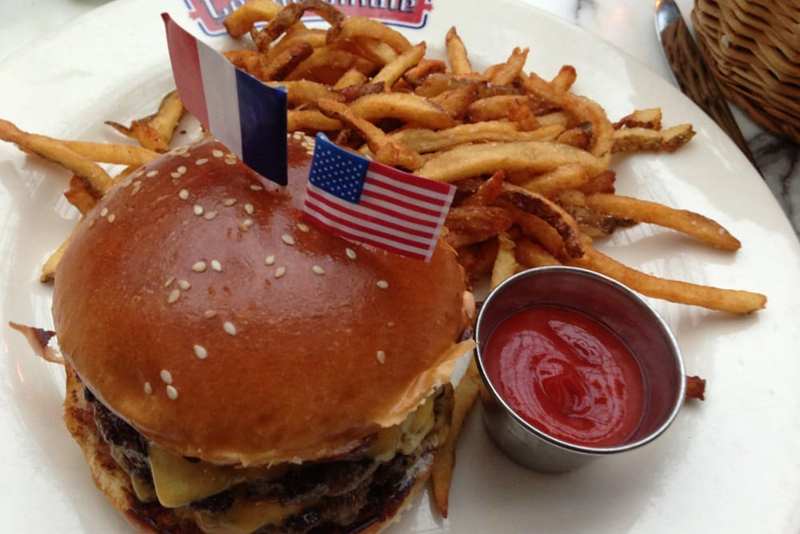 Don’t be fooled: These Frenchmen can pull off a mean burger. 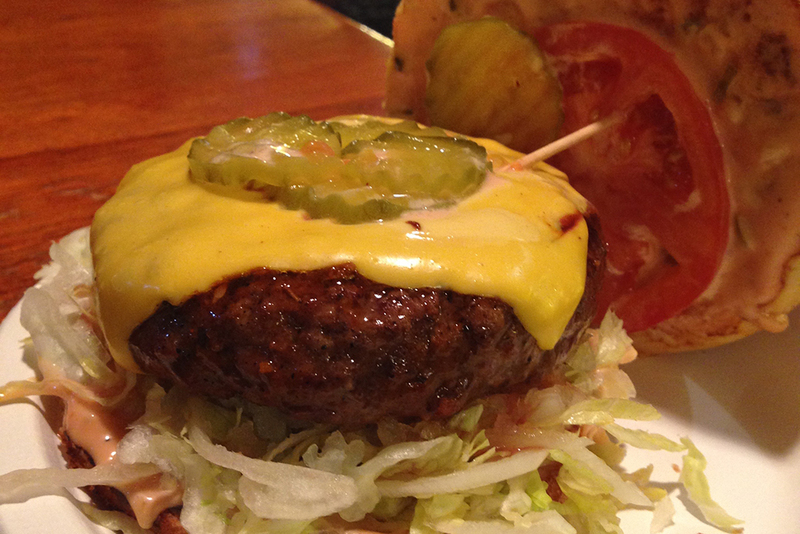 Two patties, American cheese, pickles and a special sauce on a sesame seed bun—sound familiar? It’s basically your favorite fast food burger on steroids. The beef is fresh black angus, not some frozen pink slime creation; the special sauce is made with a base of homemade mayo, as opposed to the preservative-laden stuff you’d scoop out of a tub. Le Diplomate lives up to the hype associated with Stephen Starr restaurants, in large part due to the solid creations—like this one—from head chef Michael Abt. 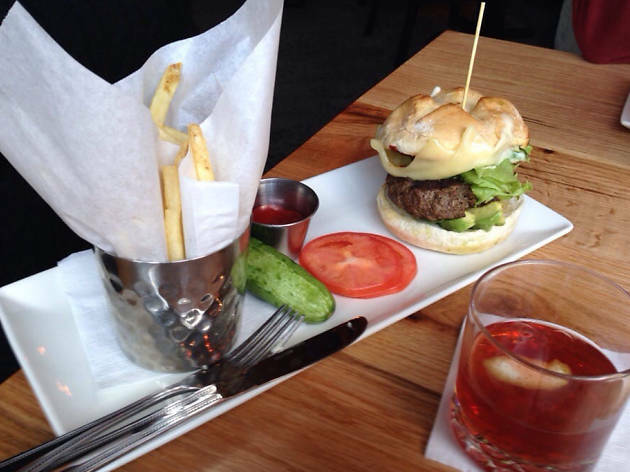 After the success of Citronelle in Georgetown, which closed in 2012 due to severe water damage, chef Michel Richard opened Central in an effort to “democratiz[e] gastronomy.” The restaurant’s burger embodies this effort—an American classic, favored by the masses, but with a finely-crafted twist. 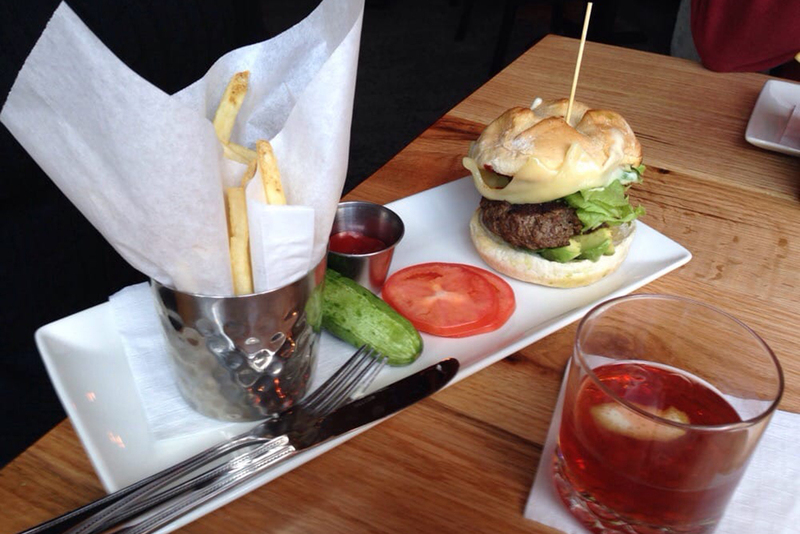 The burger comes with house-made mayo and potato “tuiles”—crispy wafers that add a subtle crunch. 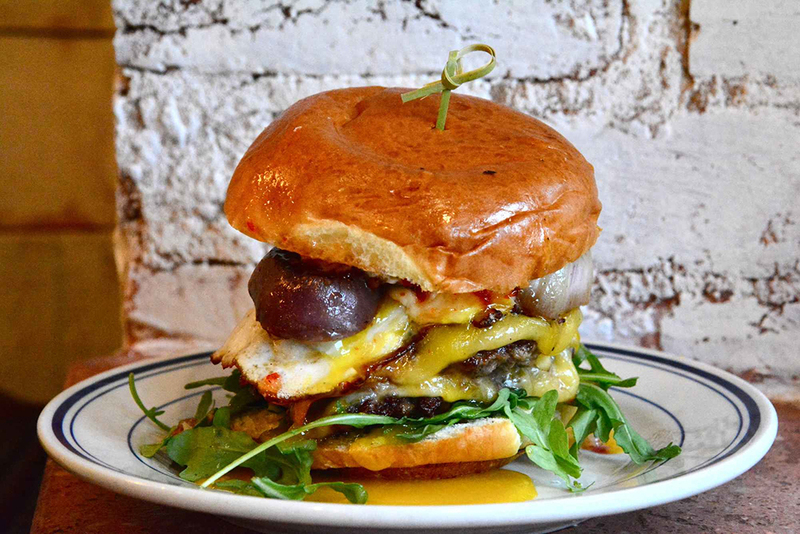 At $18 ($20 with the cheese and bacon), this burger isn’t cheap—and if you’re looking for extravagance to match every dollar you spend, you won’t find it here. 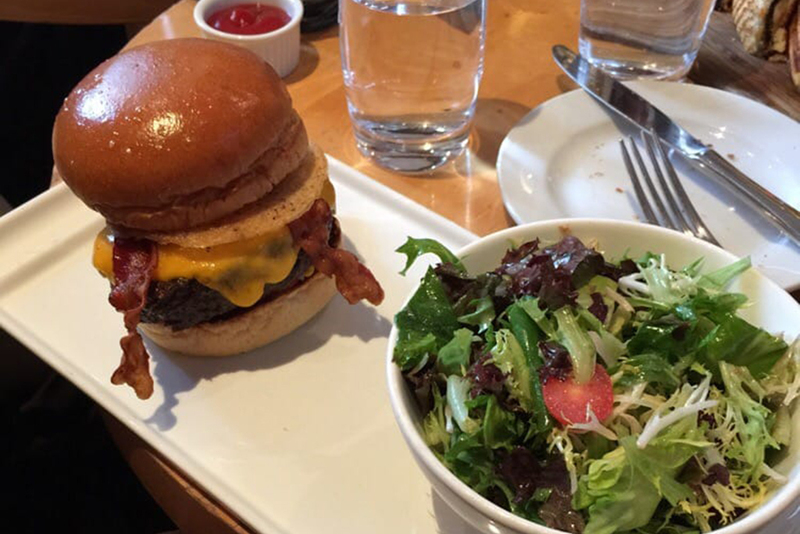 But the fresh ingredients and balanced flavor that Michel Richard’s dishes are known for make this burger worth every penny in our book. 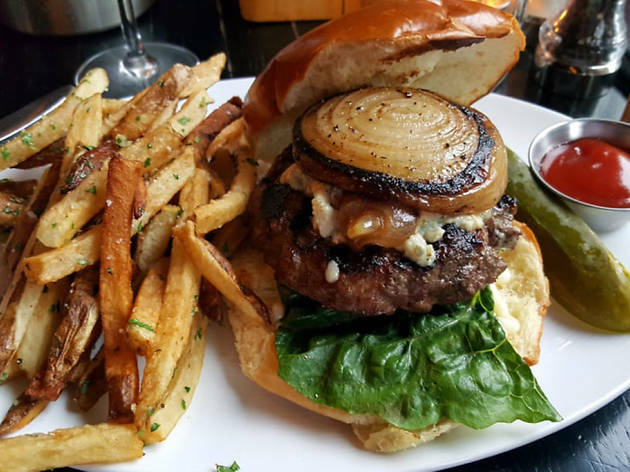 Attention to detail makes this burger a standout among others in the District. 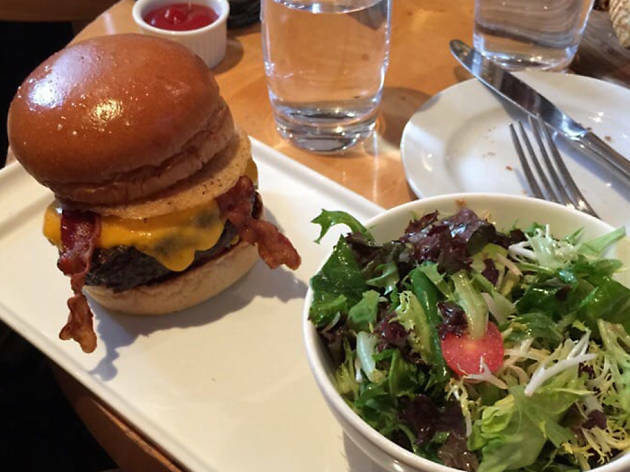 The beef is ground daily in-house; the strips of bacon are fresh-off-the-griddle crispy; and the brioche bun, lightly grilled inside and out, adds a slight sweetness to the mix. While this is one of many locations, b DC Penn Quarter manages to dodge the usual pitfalls of a mini-chain largely by relying on locally sourced ingredients to ensure that only the freshest dishes hit the table. 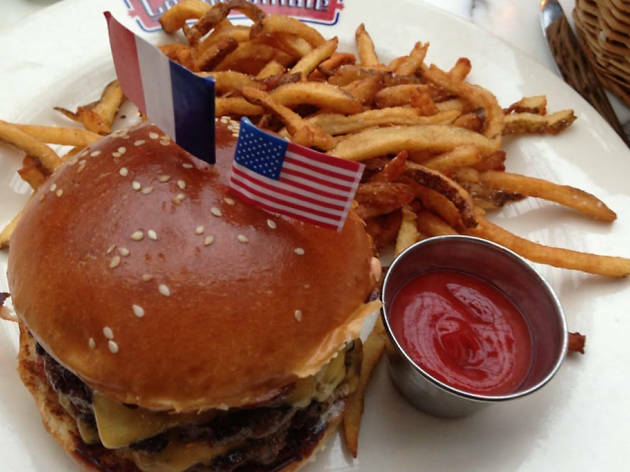 This burger aptly matches the décor at Ollie’s Trolley: Classic, unpretentious and all-American. The 12th St. burger joint is lined with booths and the food is served on plastic cafeteria trays. The Ollie burger is similarly no-frills, filled with classic accoutrements: shredded iceberg lettuce, American cheese and Thousand Island dressing. The burger is made from black angus chuck and beef brisket, sourced from Roseda Farm in Maryland and ground in-house daily. 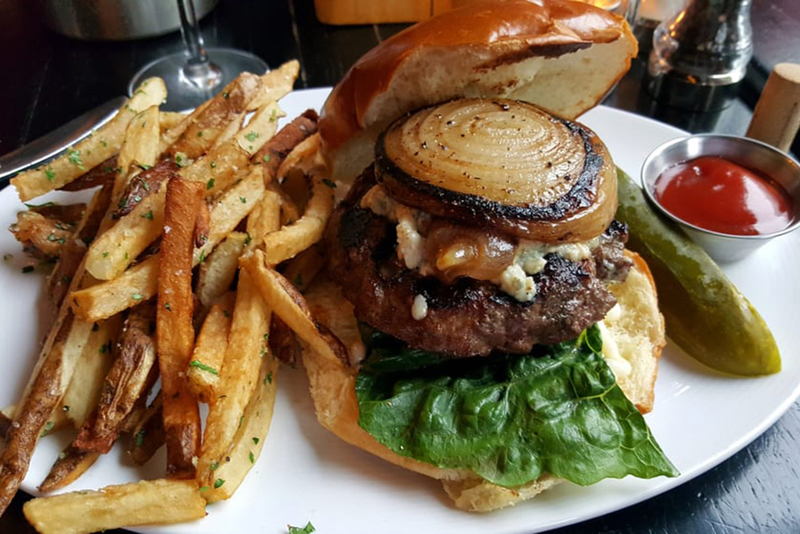 As the only spot in Southwest DC to grace our list, Station 4’s Kobe-style burger holds its own in terms of flavor and flair. 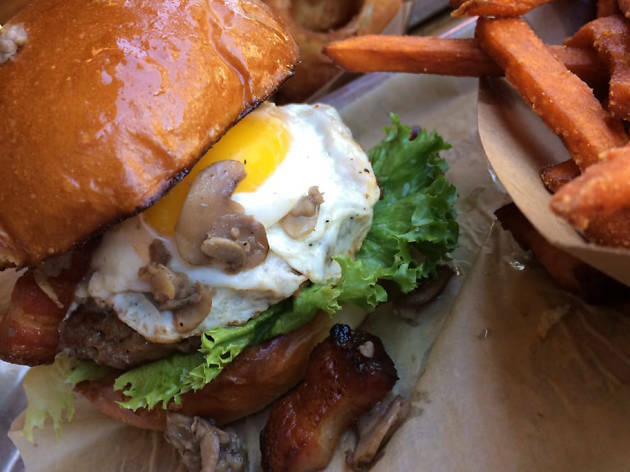 The most notable thing about it is the choice of meat—waygu ground beef from Snake River Farm, which yields a tender, juicy burger. Gorgonzola, mayo, lettuce and tomato are the perfect additions to this dish, not commanding too much attention from the burger itself. At $20, it’s a little steep compared to others on the list, but it’s worth checking out. 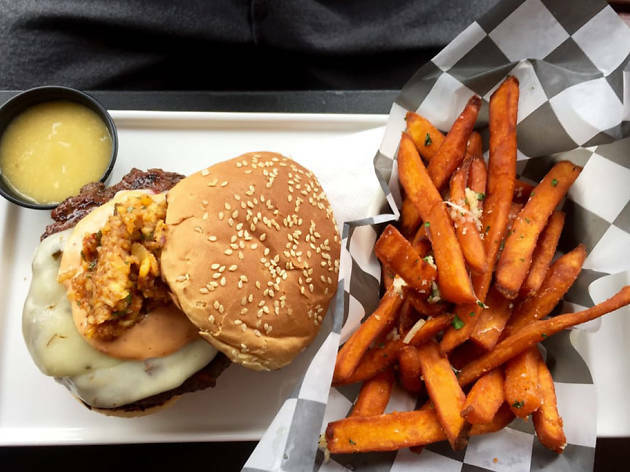 Only a few blocks from Nationals Park, Station 4 is a great spot to hit up before and after Nats games, especially if you want to avoid all the riff-raff outside the stadium. 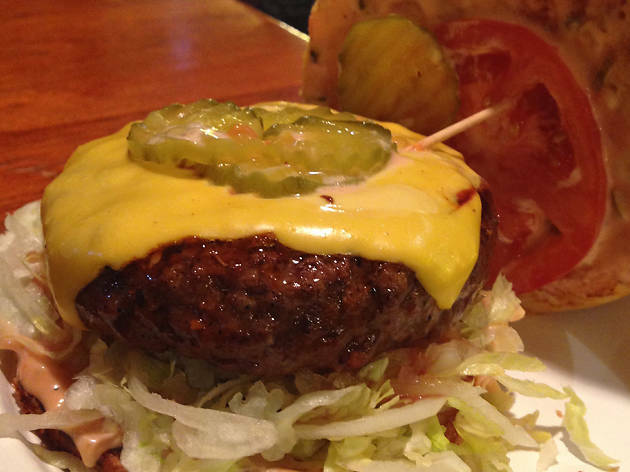 When a burger joint bills one of its creations the ‘Big Daddy,’ it better step up to the plate. This one doesn’t disappoint. Thick-cut Benton’s bacon and buttermilk blue cheese make for a bold combination. Mushrooms sautéed with Worchester sauce and a touch of A1 sauce are the perfect addition to this steakhouse-style burger. 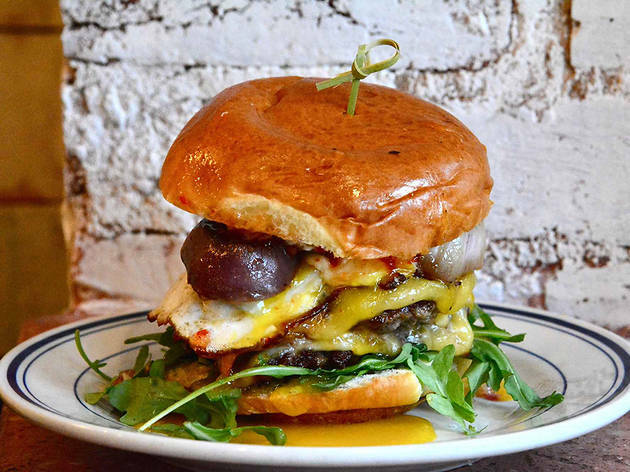 BTS’s casual, sit-at-the-counter vibe dodges the common pretensions of many hip DC eateries—instead, they focus their attention on crafting renowned burgers. 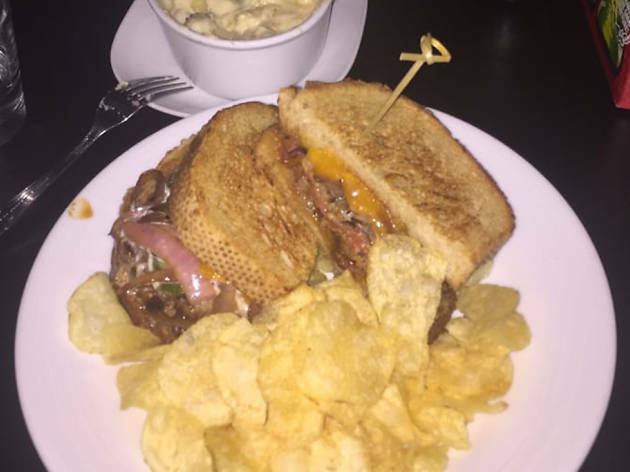 Crisp’s take on the patty melt is a solid recreation of an American classic. Buttery toast, grilled to golden-brown perfection, replace the staid old buns that other burgers call home. A slather of mayo, garlic dill pickle chips and pork belly jelly tie it all together. 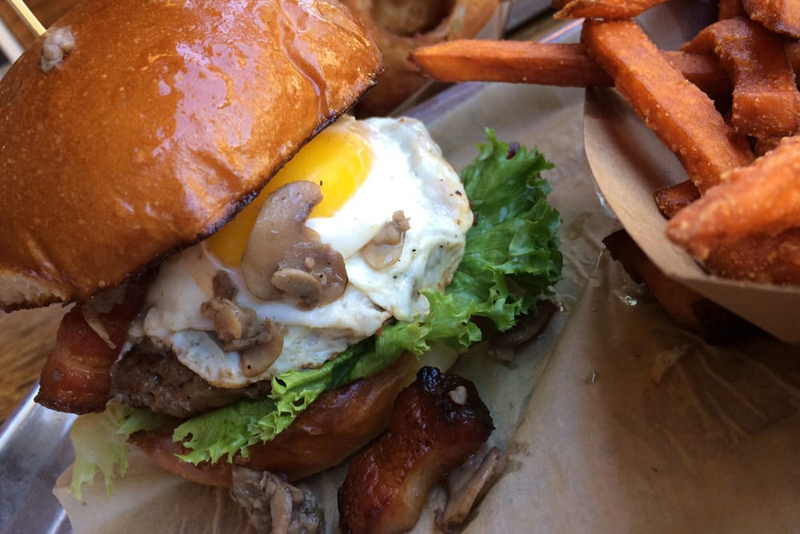 With a heap of fries on the side, this burger will bring you back to a simpler time—when “cholesterol” was just a funny word. Crisp is known for dishing out some adventurous twists on down-home favorites—especially when they involve fried chicken—but this one is pretty by-the-book... Which is totally fine by us.